Do you do clean windows too? Yesterday we posted an article that talked about a faculty’s responsibility to students. Does it include answering all questions? Does it require you to hand-feed your students? 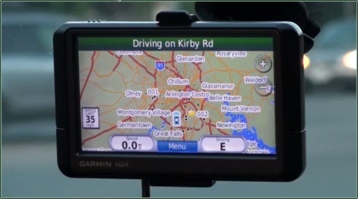 Today we want to add a little humor into your day with the following video clip: “What if your GPS acted like a typical user’s guide” which we think relates to the last post. Tina, thanks for finding this clip. Not only is it funny, but it also is right on target with our challenge to provide information to students without overwhelming them and without doing the thinking for them. Well, watch the video, you’ll get the point! P.S. Don’t forget our banner challenge is still going on. It’s not too late to submit your entry. We’ll vote next week! Click the banner to view our current banner challenge entries. Thanks everyone for participating! Oh my gosh, we could develop some really funny tutorials for faculty on this premise. Faculty and students could also have some fun with this kind of activity. Tongue in cheek presentations that take the long circuitous way around.